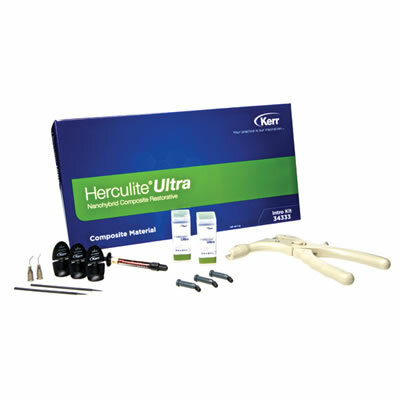 Herculite Ultra universal composite offers advanced nanofiller technology, delivering superior esthetics and optimal handling. Other features include high polishability that sustains itself longer than other similar composites, and strength and endurance unique to the Herculite brand. Herculite Ultra chameleon-like blending improves the lifelike appearance of the final restoration by replicating the opalescence and fluorescence of the natural tooth. This quality also enables single-shade layering, a technique further enhanced by the additional shades.